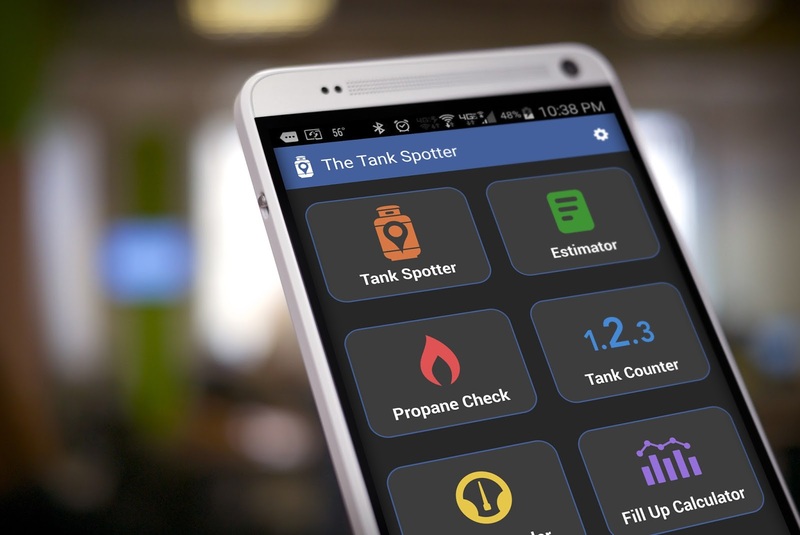 You don’t have to know anything about the propane industry to recognize that Tank Spotter could be an incredibly useful app for anyone in that line of business. It can help a sales staff find and manage new customers and help installation techs meet the stringent government safety requirements. 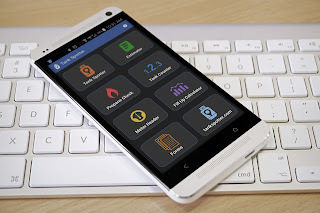 The app was developed by Bill Stomp, a war veteran who said he drew on his experience in military intelligence. “The idea for this app comes from that world,” Stomp told me. “We would gather intel from our field guys - marines, seals, airplanes, satellites, etc. - and then ‘spot’ the enemy. In the fuel delivery industry we have field guys called drivers, techs, managers and sales people. They can ‘spot’ sales leads such as a competitor's fuel tanks with the app." Tank Spotter’s home page presents a series of options for dealing with a company’s existing accounts and with potential new clients. Let’s say an employee or manager is driving around their home area and they see a property with one or more propane tanks. Is it one of theirs? Does it belong to a competitor? Maybe it’s an opportunity to make a new sale. To "spot" the tank, they open their mobile phone or tablet and click to the Tank Finder page. This page is the heart of the app. It lists the actions you can take when you have eyes on a tank. Users can log it as a sales lead, a safety or maintenance issue, or record it as one of your tanks and update the details associated with that installation. Options let users note the type of tank, its address and description, the name of the business and the company’s contact person. A single button lets them use GPS technology to record and map the tank’s location. They can also capture a photo or record a short video. A delivery driver or maintenance tech can use similar features for logging safety issue or a maintenance issues. 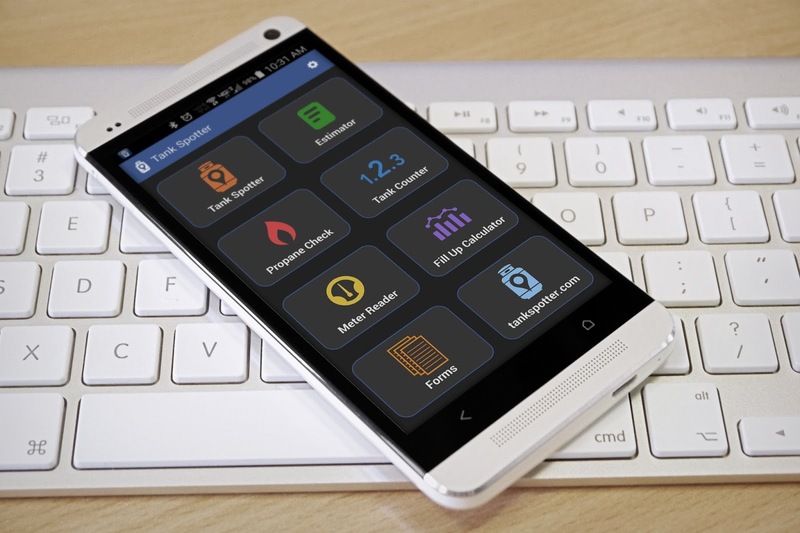 The data is either sent immediately to the company’s central database or stored until the phone is within cell phone range, a useful feature in remote areas where many propane customers are located. A section called View Tanks Spotted presents a map showing all the collected tanks, with color-coded pins to match the different types of reports. A competitor's tank get one color, other colors are assigned to safety issues or sales prospects. The map can help the company plan and schedule sales calls or safety inspections to focus on a specific area. Another useful feature is the Tank Docs section that lets users create digital versions of the various forms that a propane dealer has to fill out, file and store. An Estimator section includes tools for estimating pricing for a new account or create an invoice for a new or existing client. Users can also record meter readings leak checks and safety inspections. Tank Spotter is a well-designed app that anyone with basic data-entry skills will be comfortable using. And, it’s an excellent example of how mobile technology can be put to work helping even the smallest business. Tank Spotter is available to download in the Google Play Store. For a closer look at how the app works, visit the Tank Spotter website and watch my video review below.